If you’d rather spend time in the lab studying evidence than interacting with witnesses and chasing offenders, then you could be the ideal match for criminal justice careers in forensics. Forensic science is a fast-paced law enforcement field that marries crime fighting with scientific laboratory experiments. Thanks to today’s cutting-edge technology, forensic scientists are playing a pivotal role in analyzing criminal evidence and finding justice for victims. Forensics jobs are typically best for individuals who are keen observers, real sleuths, superior mathematicians, and aces behind the microscope, according to the American Academy of Forensic Sciences. Let’s take a closer look at four criminal justice career paths available within the forensics arena. Crime scene investigators (CSI) are primarily responsible for identifying, collecting, preserving, documenting, and examining evidence discovered at a crime scene. CSIs cover every inch of the crime scene to find hair, blood, bodily fluids, fingerprints, weapons, and other materials used to solve the investigation. CSIs work with law enforcement officers to secure crime scenes, take photographs, sent evidence to crime laboratories, prepare investigative reports, and testify their expert opinions. Crime scene investigators usually need at least a bachelor’s degree with relevant training experience in forensics. Like Temperance Brennan on the hit show Bones, forensic anthropologists specialize in examining human remains to help investigators catch the killer. Forensic anthropologists will carefully assess the corpse’s bones to determine vital information, such as gender, age, ancestry, health status, and cause of death. Forensic anthropologists can work directly with coroners, medical examiners, and law enforcement agencies either full-time or as consultants. This criminal justice career in forensics typically requires rigorous training at the Ph.D level of forensic anthropology. At the crossroads of criminal justice and information technology, computer forensics analysts work to recover key evidence stored within computer systems. Analysts delve deep into the hardware to recover data like documents, emails, photos, and web history. 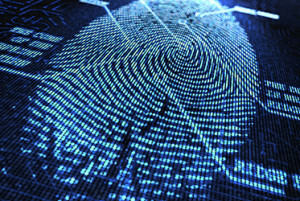 Computer forensics analysts strive to uncover useful information that can be used in solving cyber crimes and tracing other illegal activities, according to the FBI. As expected, computer forensics analysts must be familiar with operating systems, hacking techniques, and security software applications. Usually, a bachelor’s degree related to computer forensics or computer security is suitable. After a fire, arson investigators are called in to gather physical evidence on whether the blazes were natural or sparked by a criminal. Arson investigators will take photographs, interview witnesses, examine fingerprints, identify accelerants, send evidence to labs, study burn patterns, and recreate the scene of the fire. Unlike most other forensics jobs, arson investigators have authority to exercise policing powers, arrest suspects, and carry weaponry. Arson investigators usually have at least a two-year degree and on-the-job training. Although TV cop shows make forensics look exciting, it’s important to remember that it requires plenty of hard work and time spent diligently surveying every fiber of evidence. Forensics is only for criminal justice students who love science and wish to apply it in leading law enforcement to the bad guys. Jobs in forensics have a mean yearly salary of $58,610, which means they won’t make anyone rich, according to the Bureau of Labor Statistics. But, forensic science is a rewarding career for science-oriented people to truly make a difference in solving crimes. In addition to these criminal justice careers in forensics, you could become a blood spatter analyst, ballistics expert, crime scene photographer, toxicologist, serologist, latent print examiner, and more.